If you already have a server image that you would like to use on top of UpCloud’s infrastructure, you can create a bootable OS storage from it. The process requires that you deploy a new server, upload the image to the cloud host and set up the new disk device. This guide goes through the process step-by-step. Update the system to make sure the software is running the latest version. Here the vda disk with a partition called vda1 is your primary storage and the vdb disk as the secondary device without partitions. If everything seems in order, continue with uploading your server image to the cloud host. When the new host is up and ready, upload your server image, for example using Secure Copy, SFTP or rsync. You can find out about some of the different secure file transfer options in the first section for Encrypt communications in the guide for cloud server security. Depending on your original system and your network connection it may be useful to compress the disk files for the transfer and then uncompress again on the target host. When you have uploaded the image to the server, you will need to copy the image content to the empty storage device. Use the following command while replacing the server_image with the system image file, the target disk is usually located at /dev/vdb. Note that the server image needs to be in RAW format ending with the .img file extension. This means images taken, for example, from a VMware-environment do not work as is. The VMware images should be converted to the RAW format with a tool such as qemu-img, which is available for install on most package managers. Check out our guide about how to import VMware image to UpCloud to learn more. The newly transferred operating system should now boot up to the cloud server. However, depending on your old network setting you may need to log in using the web console to fix any issues before the system will connect normally. Go to your UpCloud control panel then select the Console tab under your server settings and click Open the console connection. Log in normally with the user credentials for the server image as before transferring it to the cloud. Once in, check the network settings with the following command. UpCloud hosts have three network interfaces in the default configuration, public IPv4, private IPv4 and public IPv6 addresses. You might see something similar to the example output below. 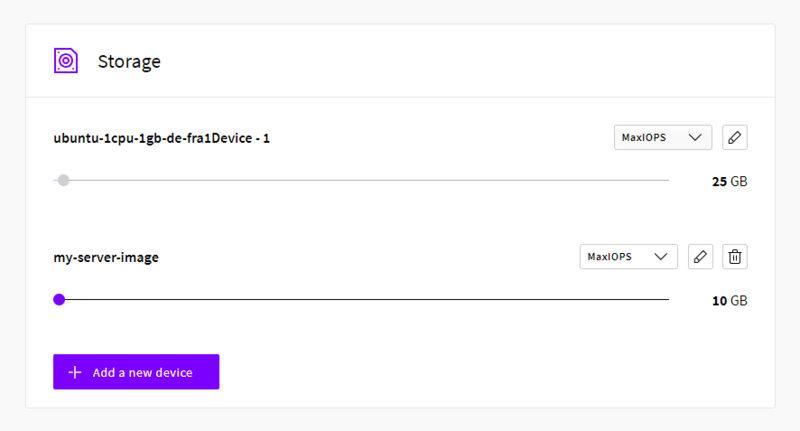 The first interface eth0 might work but the other devices are not yet configured. Edit your network configuration files to match the network interface names listed in the above output. For example on Ubuntu and other Debian-based systems use the command below to open the configuration file. Add the following sections to the file. If the network interfaces were named differently, use those names instead of eth0, eth1, etc. Congratulations, your own server image should now be up and running on a brand new cloud host. In case you have any further problems with the network, you can find additional help with troubleshooting the connectivity at the guide for network issues with Linux host. If you run into issues with booting from the new system image, you can always attach the old primary disk again and find the image files safely stored for another try without the need to wait for the image to upload again. Once you are confident that the new system is running properly, you can go to the Storage list at your UpCloud control panel and delete the unnecessary storage device.